Velo-City Global 2010 from Velo-city Global 2010 on Vimeo. Velo-City, the annual international conference about everyday urban cycling, provides an excellent focus for cycling advocacy best practice from around the world. Last year’s event in Copenhagen was, not surprisingly, wowed by that city’s track record in encouraging more people to cycle as part of their everyday lives. Though it must be repeated, much of the wowing can also be put down to PR. We ourselves have worked in Bremen, which has more than twice the amount of off-road cycle paths as Copenhagen – and that excludes green areas like parks and riverbanks. And of course it has been well documented elsewhere that much of the Netherlands has far superior standards than Copenhagen. The 2011 event opened yesterday in the Spanish city of Seville. 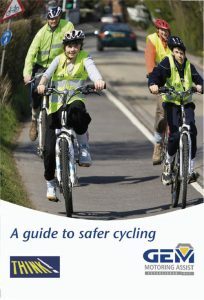 To coincide with this year’s event, a new magazine called Cycling Mobility is being launched there. Darlington is featured in the publication via an article about Beauty and the Bike. But there is also a substantial piece about Seville itself, and how the city transformed itself in just a few years from a car-dominated and congested regional capital to a cycling-friendly place to live. In less than six years, Seville has increased cycling’s share of journeys from 0.2% to 6.6%, with the number of people cycling daily from 2,500 to 70,000. This compares with Darlington’s figures, regarded in the UK as a great success, of 1% to 3% over five years. DON’T go for the easy option. Creating routes around the back streets is straightforward but not always best. DO expect stiff political opposition when trying to fund projects like these. DO remember that the alternative is to continue to spend billions on new roads which will simply add to the problem. Seville offers an example of what can be done with strong political will. Most of these action points echo exactly what Darlington Cycling Campaign has been advocating for our own town. With local elections looming here in May, there is precious little sign that such political vision will be on offer for the voters of the borough. Spring is here! 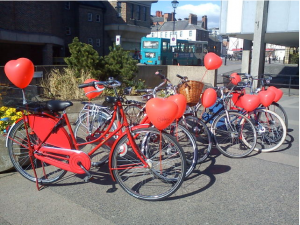 And Darlovelo celebrated today by bringing some of its new dutch bikes out to show off to the public. 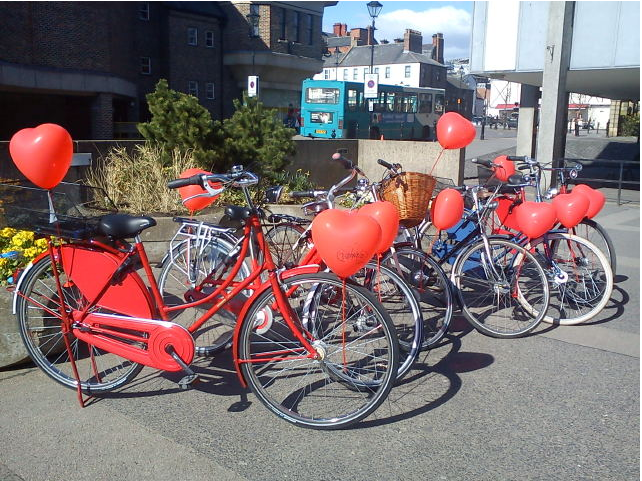 The bikes are available for long term hire for a small fee. Darlovelo organiser Annie Ravazzolo is also leading cycle rides around Darlington over the coming weeks. They will be heading off from the Arts Centre at 2pm on Saturday 26th March and Saturday 9th April. You can bring your own bike or try out one of the Darlovelo collection of Dutch style bikes. A contribution of £2 is requested (which can be offset against membership, if you decide to join). 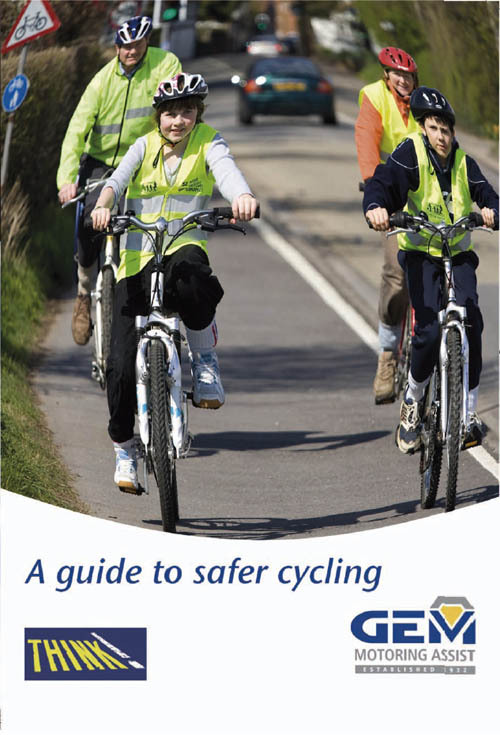 Its a great way to get out, meet people and learn about the cycle highways and byways of Darlington. If you are under 16 please ensure you are accompanied by and adult. Please contact cool@darlovelo.org if you plan to come, or log on to facebook and join the event. If you weren’t able to come on the last ride here is another chance. We are heading off from the Arts Centre at 2pm on Saturday 26th March and Saturday 9th April. You can bring your own bike or try out one of our collection of a Dutch style bikes. A contribution of £2 is requested (which can be offset against membership, if you decide to join). Please contact cool@darlovelo.org if you plan to come, or log on to facebook and join our event. Look forward to seeing you there. Two problems stood out when the Beauty and the Bike group from Bremen visited Darlington – the lack of good quality infrastructure, and the aggressive behaviour of motorists towards cyclists. This is a world-wide phenomenon in car-centric societies. First, roads are designed for the motorist. Second, cyclists are “invited” to share them. Third, motorists get frustrated with non-motorised traffic getting in the way on “their” road. Usually, these manifest themselves as isolated incidents between individuals. But a more serious event hit the headlines last week. Twenty cyclists were violently struck on Friday February 25 while participating in a Critical Mass ride in Porto Alegre, Brazil. An angry motorist attacked a section of the ride, hitting dozens of vulnerable cyclists. After being arrested, the driver Ricardo Neis, claims that he did this in self defence. Tonight, a ride will be organised entitled SACA LA BICI. RUTA POR LA PAZ (Use the Bike, the Path to Peace), in Querétaro, Mexico, is one of a number of international protests seeking justice for cyclists, and the freeing of public spaces currently overrun by the irresponsible culture of the car.